an American writer and illustrator of children's literature. He was best known for his book Where the Wild Things Are, first published in 1963. 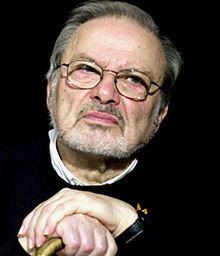 Sendak gained international acclaim after writing and illustrating Where the Wild Things Are. The book's depictions of fanged monsters concerned some parents when it was first published, as his characters were somewhat grotesque in appearance. Before Where the Wild Things Are, Sendak was best known for illustrating Else Holmelund Minarik's Little Bear series of books. His genre-breaking and career-making book, Where the Wild Things Are, was published in 1963, the year I was born.